Computers changed our history. Computers changed our whole lives. A work station without a computer has become unthinkable. 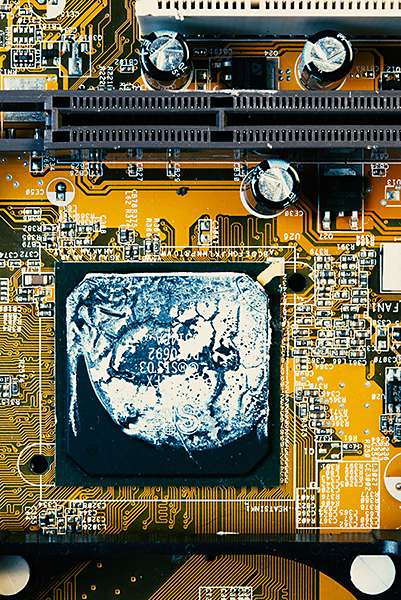 Private households replace their computers regularly after a few years and companies, as a rule, after three years. We are surrounded by electronics in our private and working lives. During the early 1980s, home computers got accessible for personal use. The MS-DOS was the main operating system for personal computers during the 1980s. Before Windows was a simplistic text-based operating system, the first users of DOS were required to memorize universal keyboard shortcuts to help the user access simple functions with ease. 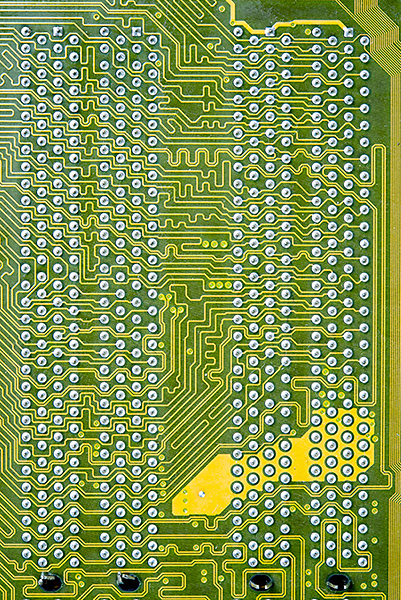 The key combination Ctrl and X still remains from that time period. Control-X removes, cuts text fragments or objects. 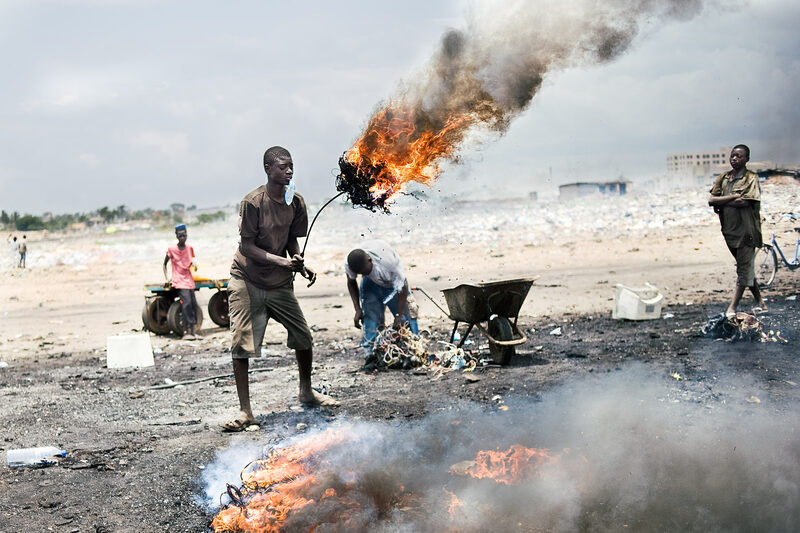 Since 2011 I am documenting the e-waste trails and consequences of dumping and improper recycling in different countries. 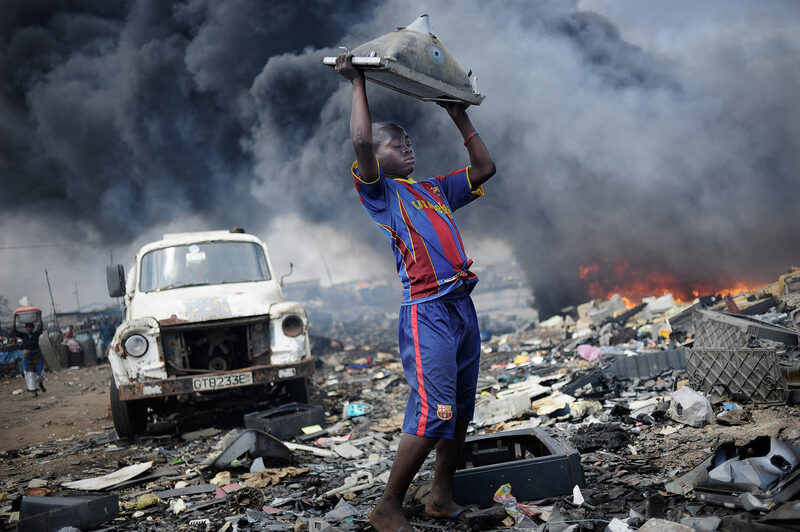 Discarded computers, office electronic equipment, entertainment device electronics, mobile phones, television sets, and refrigerators – in short: E-waste which is shipped from the western world to impoverished and under developed regions of the world. 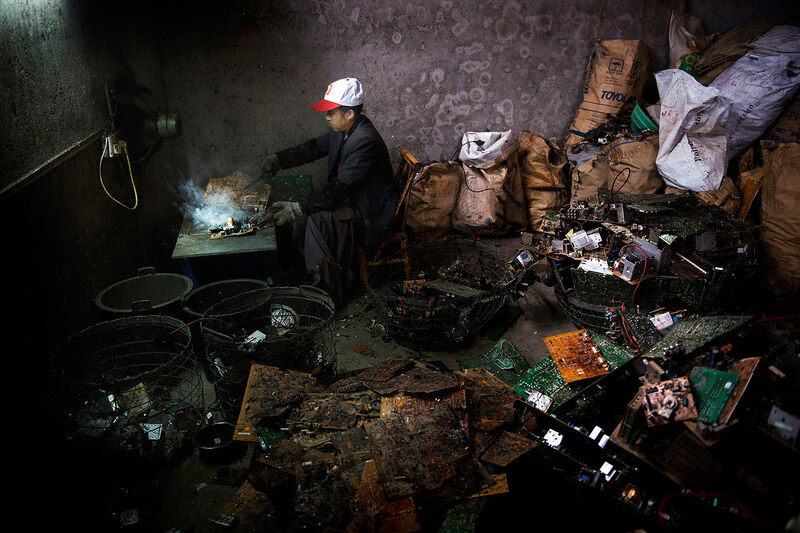 These electronic devices are burned for any valuable metals. 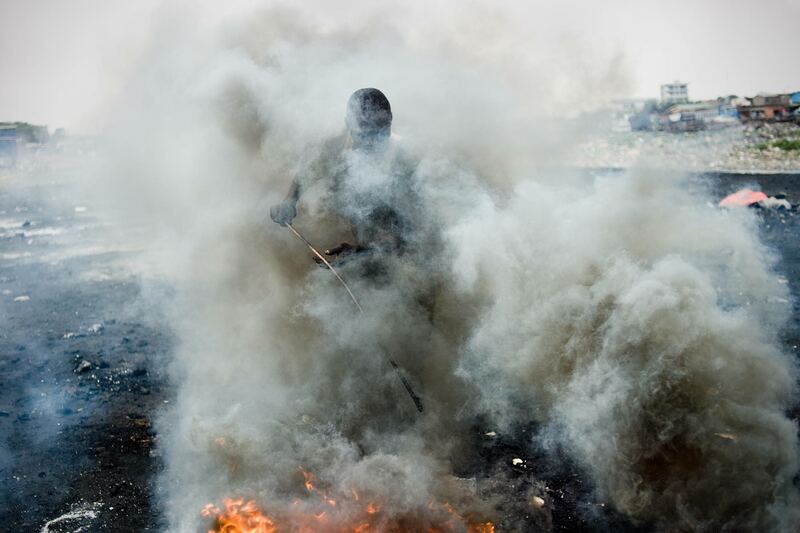 Noxious fumes fill the air; lead, cadmium, zinc, chrome, nickel and other chemical substances are emitted and damage health: headaches, dizziness, skin rashes and damage to the nervous system are the result. Not to mention the highly toxic residue that contaminates the soil. Those toxic chemicals can leach into the land over time or are released into the atmosphere, also impacting nearby communities and the whole environment. 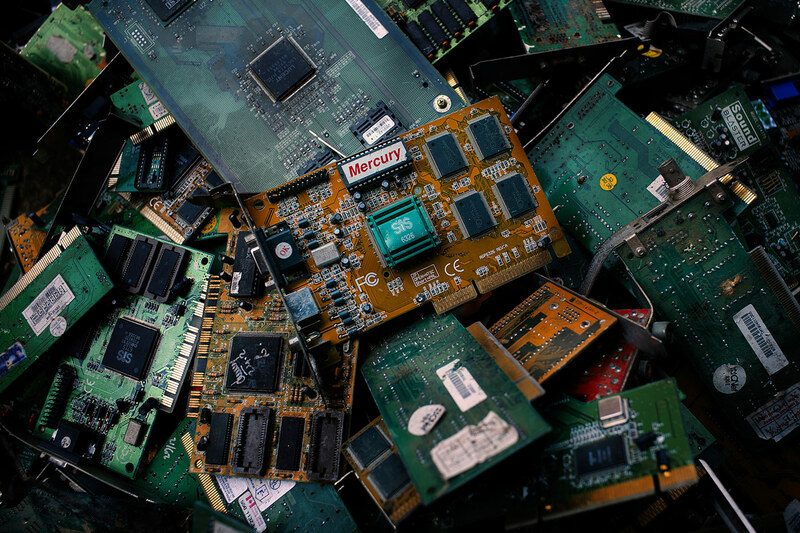 In many European countries, regulations have been introduced to prevent electronic waste being dumped in landfills due to its hazardous content. However, the practice still continues in many countries. 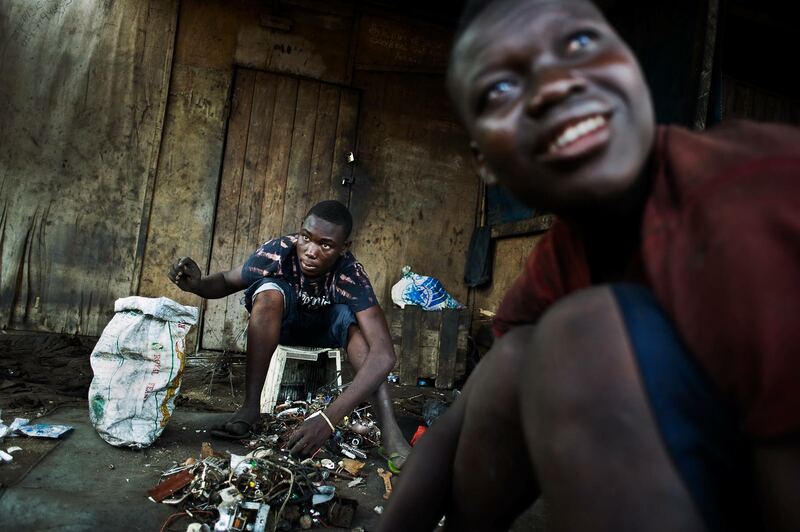 In the last years Ghana has become one of the most important e-waste hotspots worldwide. 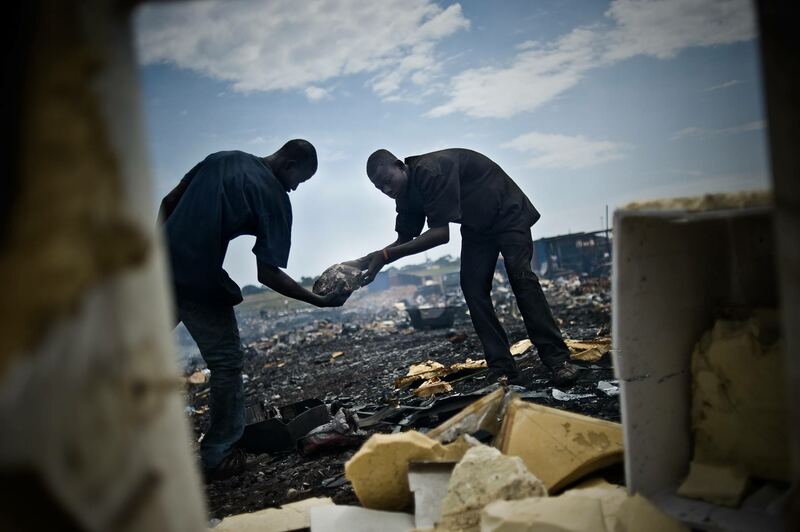 Around 600 containers of electronic scrap labeled as “reusable” second-hand goods are shipped to Ghana each month. 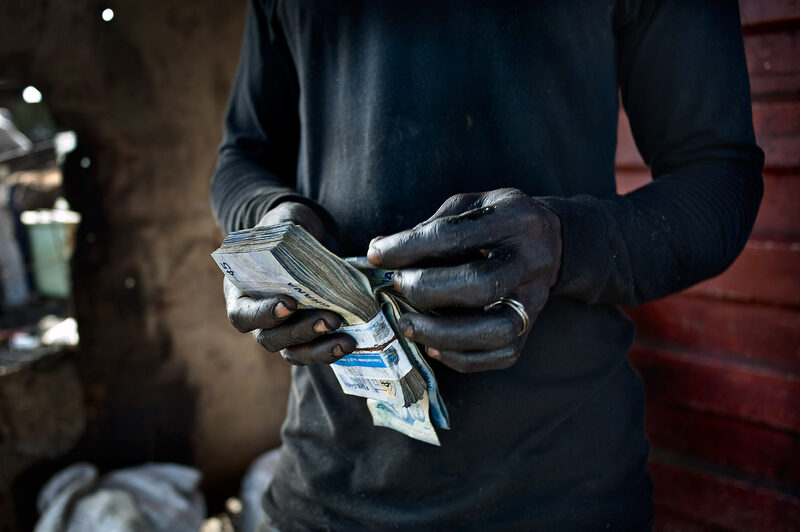 It is officially estimated by an EU Commission that between 25 to 75 percent of these goods are broken and therefore cannot be reused. 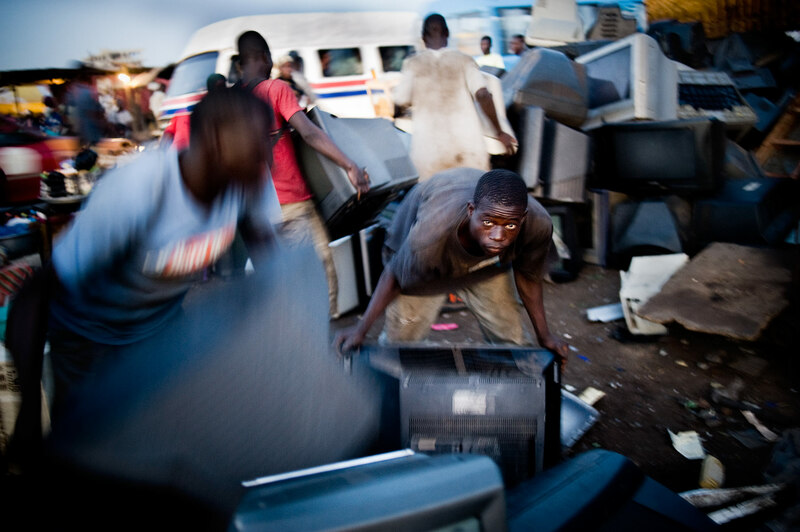 As for waste coming from other countries, an UN-report notes that the United Kingdom is the dominant exporting country to Africa for both new and used electrical and electronic equipment, followed by France and Germany. 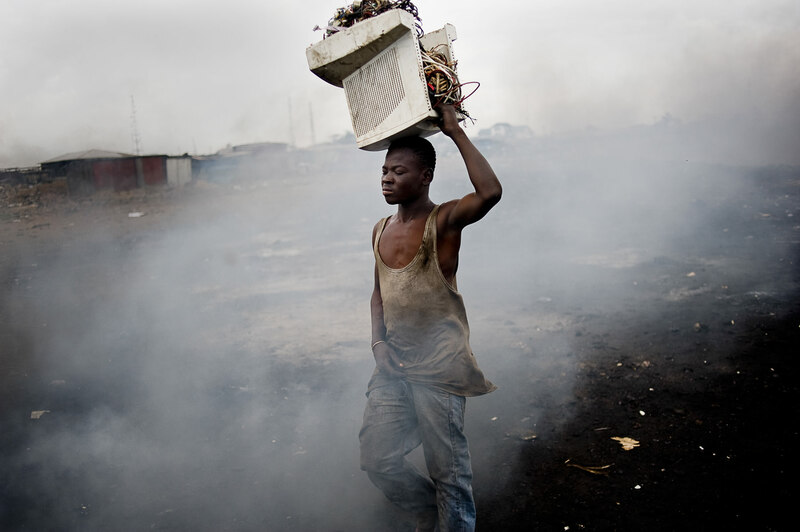 This way several thousand tons of e-waste end up at the Agbogbloshie dumpsite monthly. 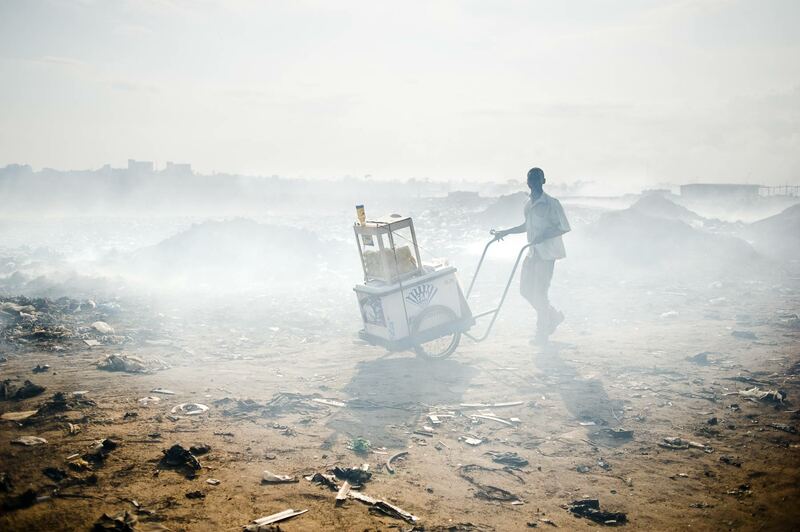 Agbogbloshie is Ghana’s biggest dumping ground and situated directly in the center of Accra, covering an area the size of 11 football fields. 40 000 people. 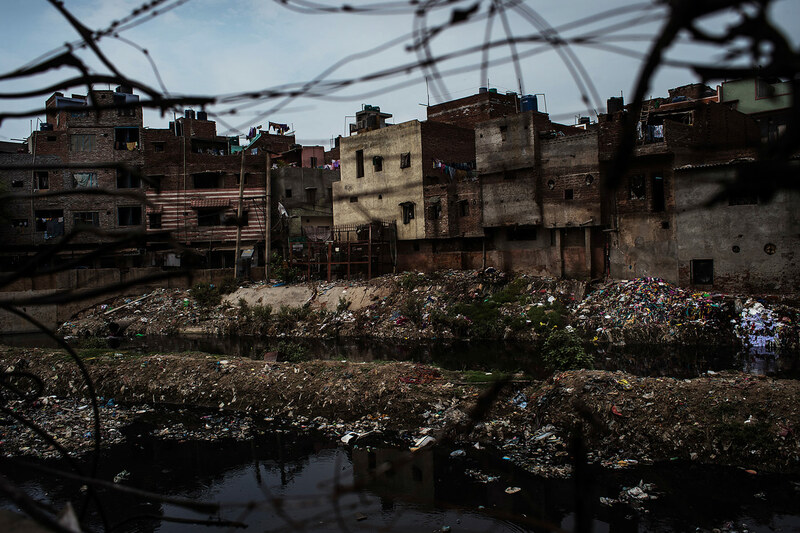 This slum is aptly called “Sodom and Gomorrah” by the locals. 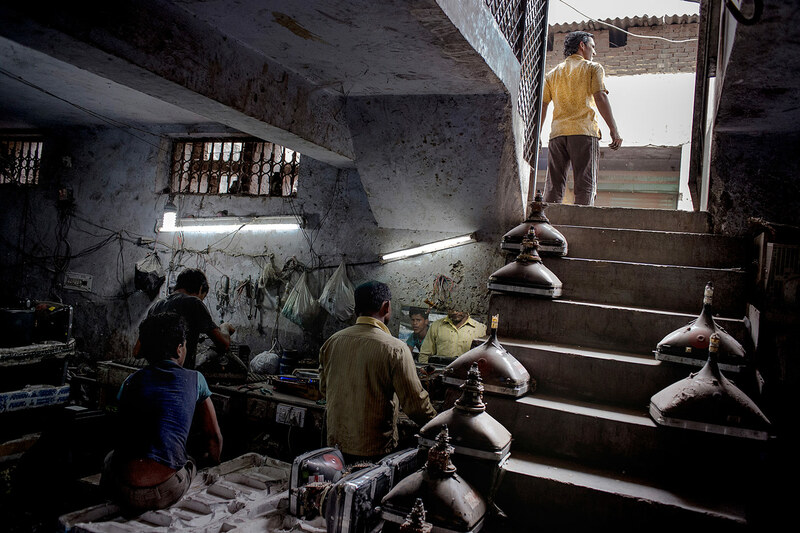 Acute mercury exposure may give rise to lung damage. Chronic poisoning is characterized by neurological and psychological symptoms, such as tremor, changes in personality, restlessness, anxiety, sleep disturbance and depression. 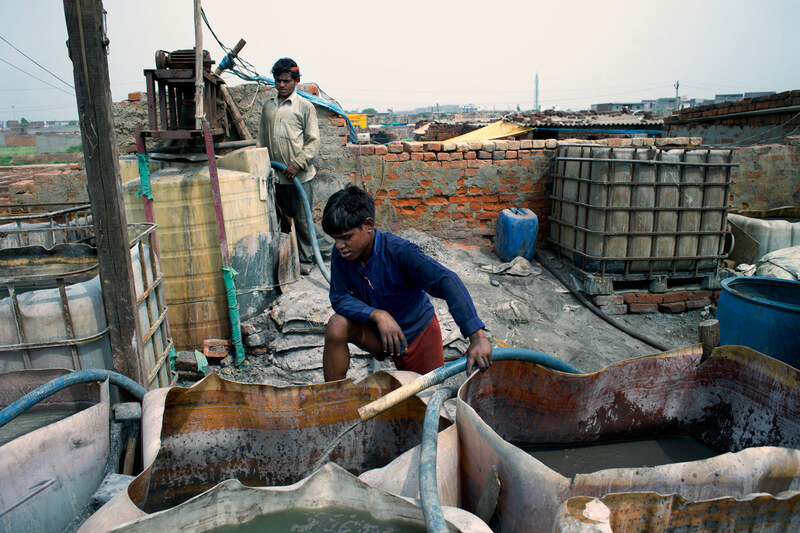 Metallic mercury may cause kidney damage, which is reversible after exposure has stopped. The symptoms of acute lead poisoning are headache, irritability, abdominal pain and various symptoms related to the nervous system. Lead enceph- alopathy is characterized by sleeplessness and restlessness. Children may be affected by behavioural disturbances, learning and concentration difficulties. In severe cases of lead encephalopathy, the affected person may suffer from acute psychosis, confusion and reduced consciousness. Cadmium occurs naturally in ores together with zinc, lead and copper. 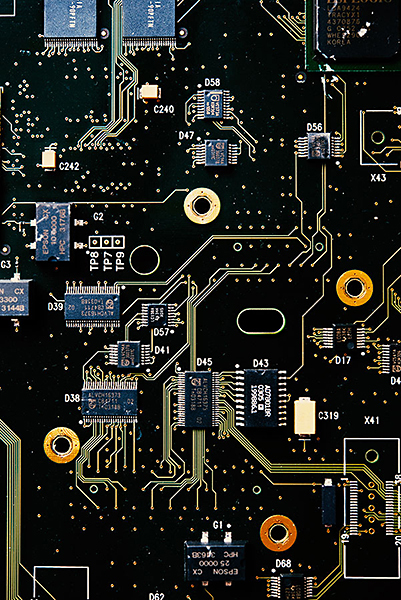 Cadmium compounds are used as stabilizers in PVC products, colour pigment, several alloys and, now most commonly, in re-chargeable nickel– cadmium batteries. 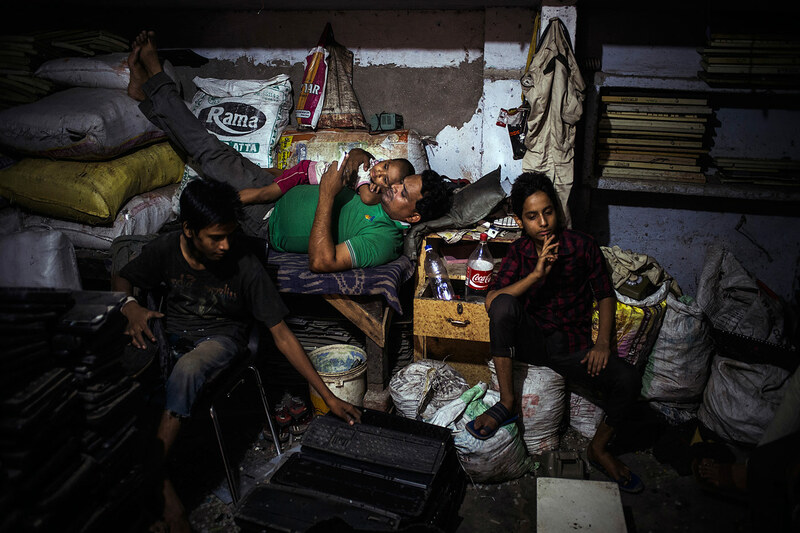 Inhalation of cadmium fumes or particles can be life threatening, and although acute pulmonary effects and deaths are uncommon, sporadic cases still occur. Cadmium exposure may cause kidney damage. 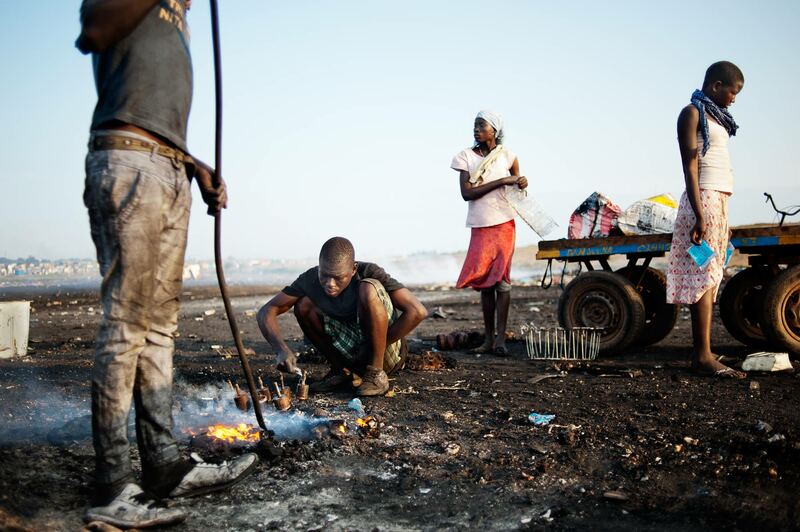 Smelting of non-ferrous metals and the production of energy from fossil fuel are the two major industrial processes that lead to arsenic contamination of air, water and soil, smelting activities being the largest single anthro-pogenic source of atmospheric pollution.Inorganic arsenic is acutely toxic and intake of large quantities leads to gastrointestinal symptoms, severe disturbances of the cardiovascular and central nervous systems, and eventually death. In survivors, bone marrow depression, haemolysis, hepatomegaly, melanosis, polyneuropathy and encephalopathy may be observed. Suspected of hormonal interference (damage to growth and sexual development), and reproductive harm. 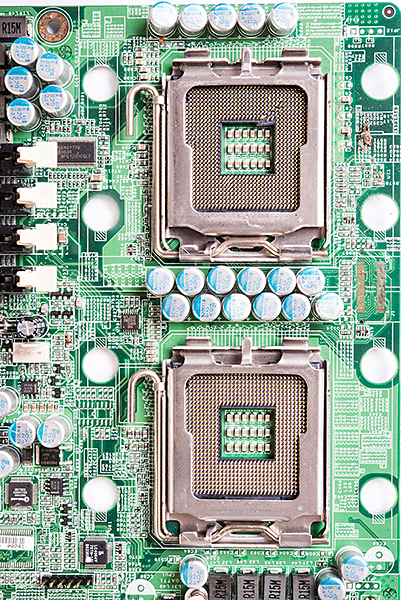 Used to make materials more flame resistant, but exposure studies reveal BFRs in breast milk, and blood of electronics workers, among others. Exposure can cause hormonal disruptions, damage to fetus, reproductive harm, and impairment of immune system. These highly toxic compounds bio-accumulate (concentrate in the body) and persist in the environment. Toxic effects of PCBs include immune suppression, liver damage, cancer promotion, nervous damage, reproductive damage (both male and female) and behavioral changes. Widely used (prior to 1980) in transformers and capacitors. 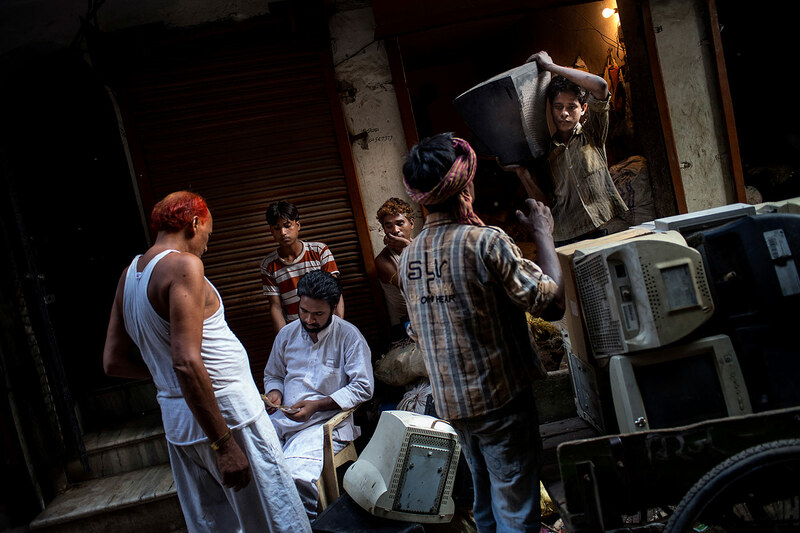 Though banned in many countries, still present in e-waste. China’s domestic market is booming and demand for major home appliances is growing exponentially. A UN report says Chinese consumers purchased 57 million televisions, 74 million computers, 60 million refrigerators, 95 million air conditioners and 55 million washing machines, in addition to 250 million mobile phones, in 2011. 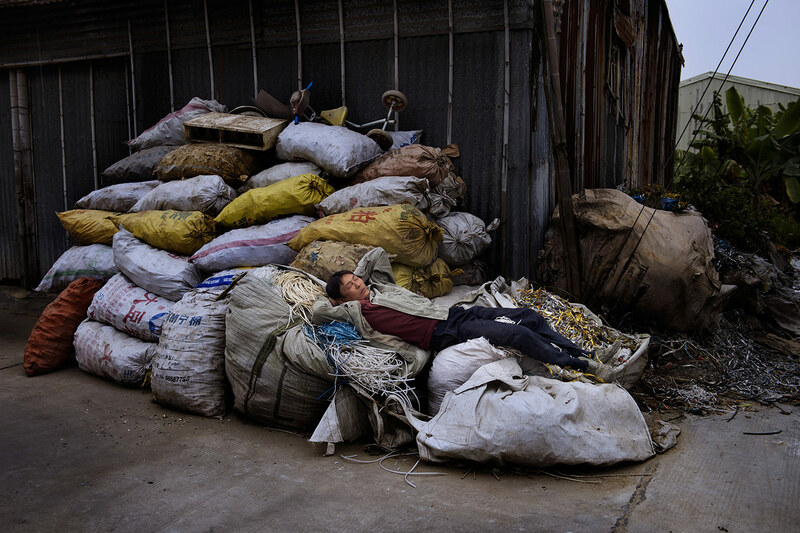 In the same year 3.62 million tonnes of these same products were discarded domestically in China. 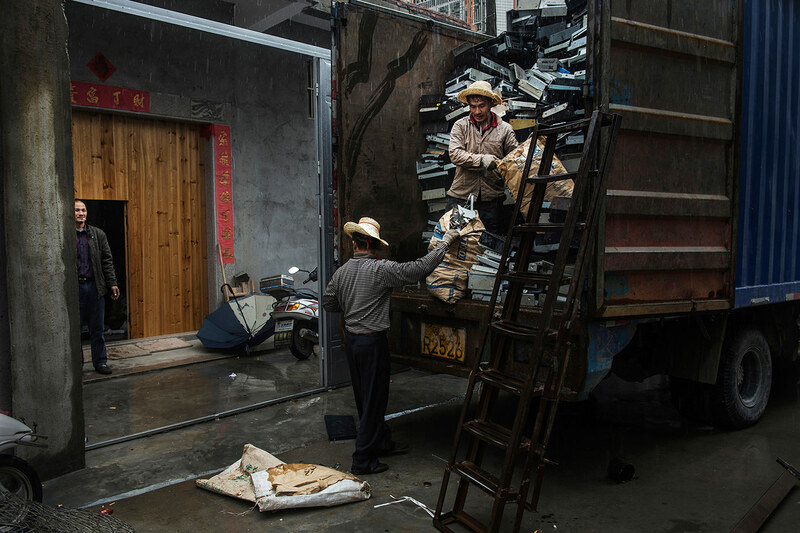 But the national market is certainly not the only source for discarded electronic equipment in China. 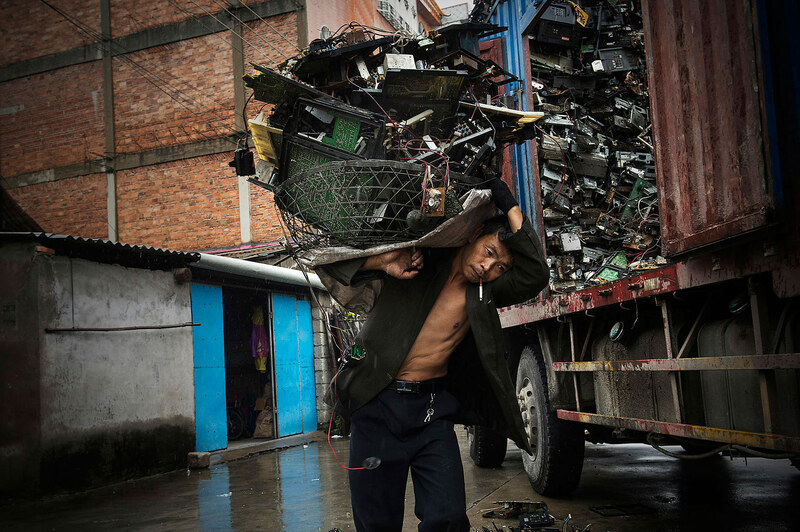 Despite the country’s ban on all e-waste imports, enacted in 2000, legal loopholes on transboundary imports remain. Guiyu, in Guangdong Province, Southern China, is made up of four small villages. 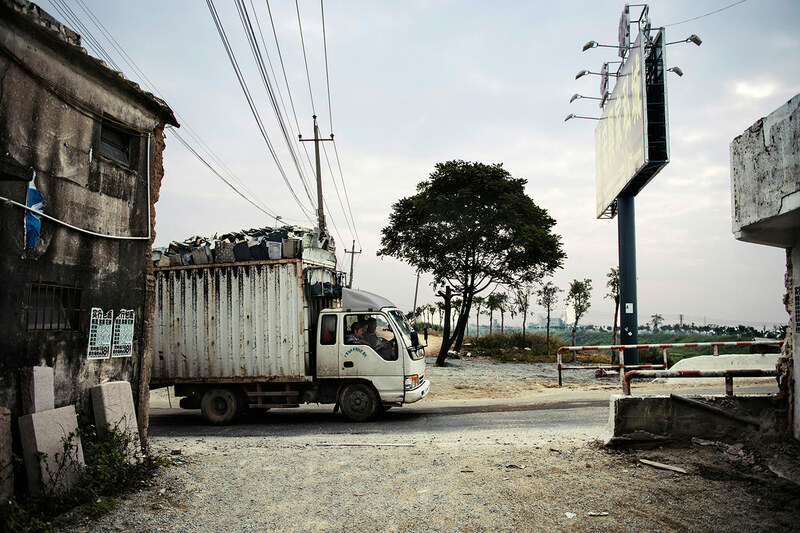 It is the location of what may be the largest electronic waste site on earth. 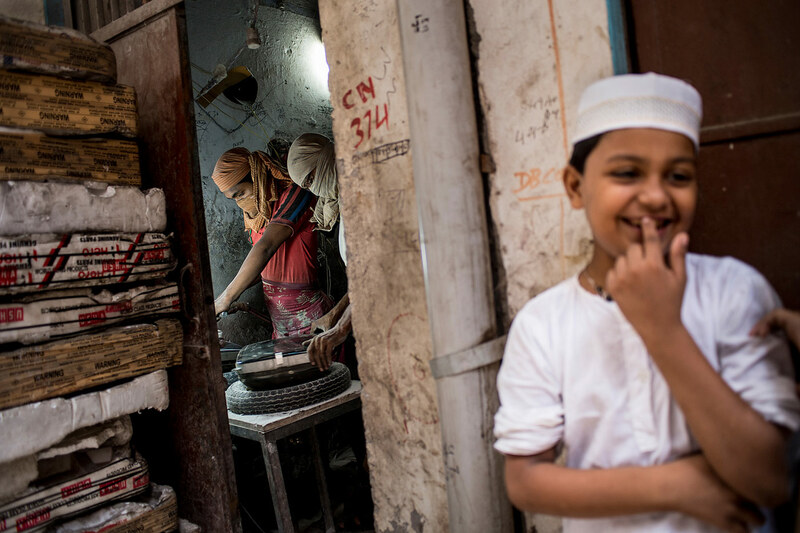 This niche industry employs tens of thousands of people, many of them in small, family-run workshops. 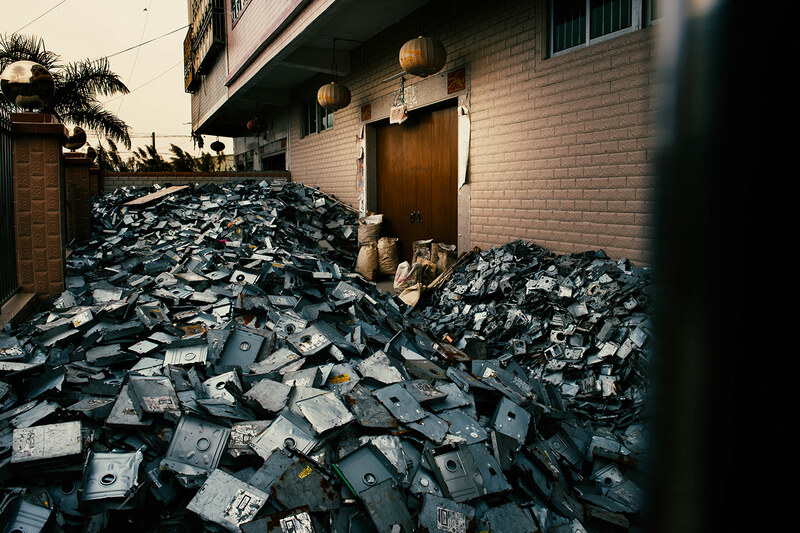 Piles of discarded computer monitors sit scattered along the roadsides. 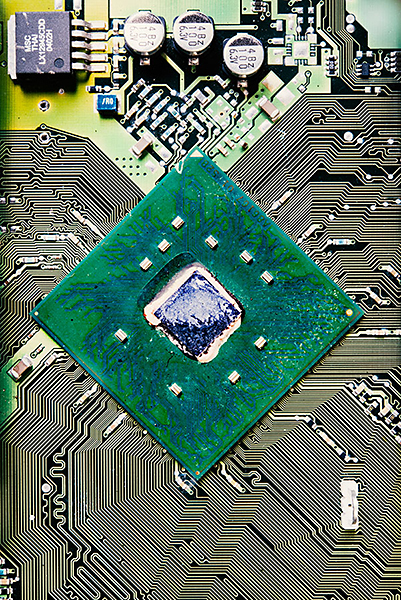 All day long e-waste loaded trucks arrive in town, Workers dismantle and heat circuit boards on a steel surface to remove the computer chips soldered into it. 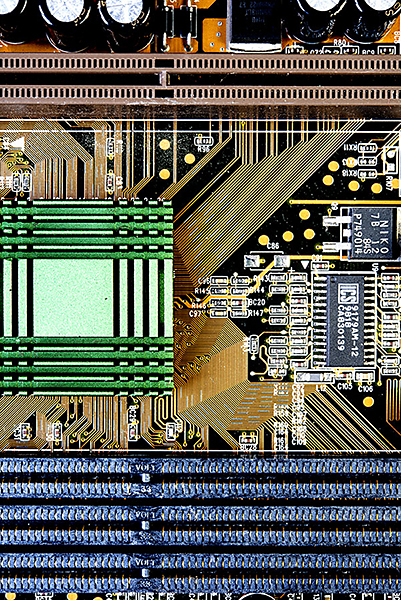 Once the individual components have become hot, they can replace easily. Fans should channel this most existing highly toxic vapors, outside. 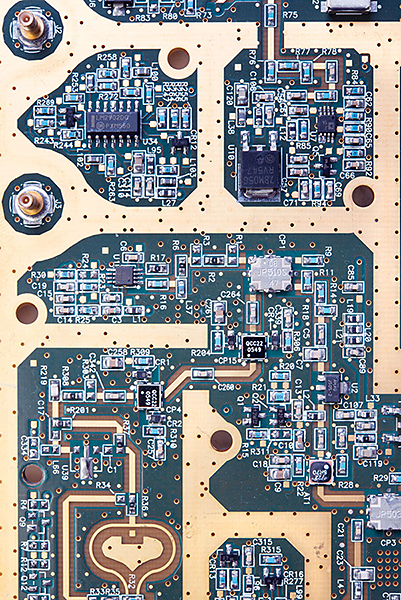 The Circuit boards contain tiny amounts of gold and silver. After 'cooking' the boards are treated with acid baths. 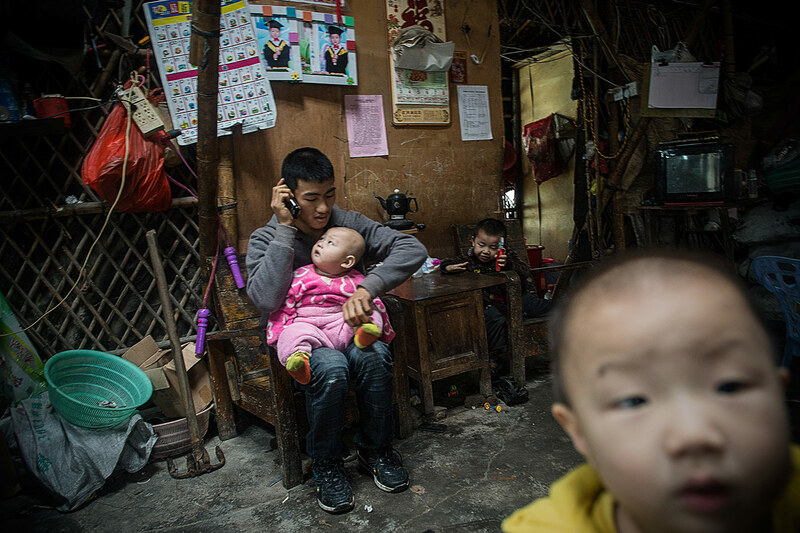 Greenpeace reports say 80 percent of Guiyu's children suffer from respiratory disease, and a report from Shantou University said Guiyu has the highest level of cancer-causing dioxins in the world and an elevated rate of miscarriages. 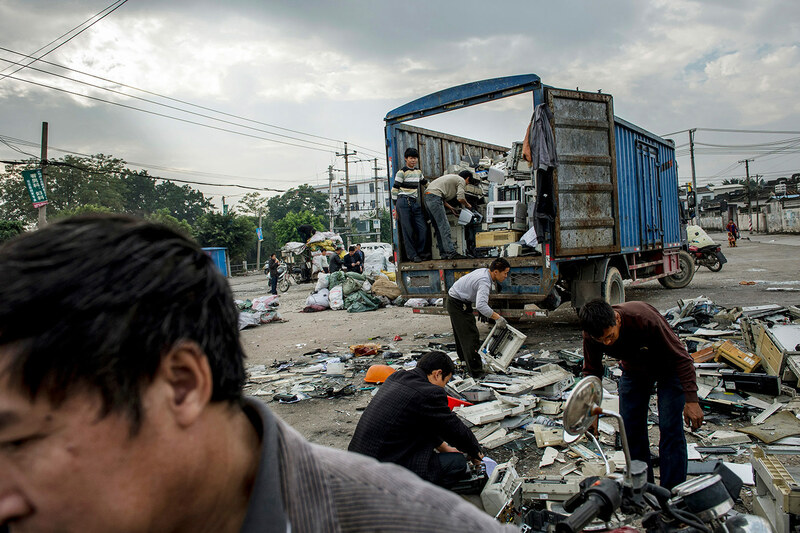 China totally banned the import of e-waste in 2000, and no exception is allowed to any recycling company or organisation. 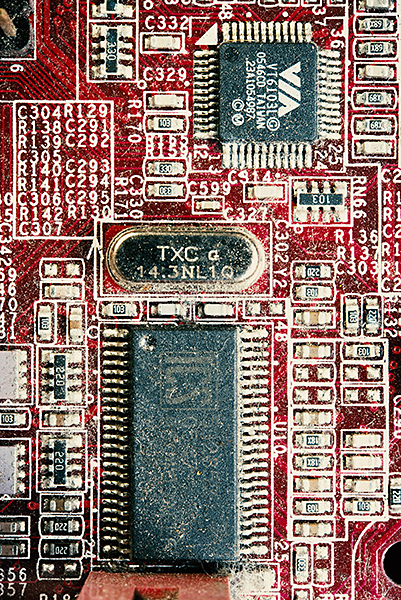 However, imports of e-waste into or through Hong Kong is legal. 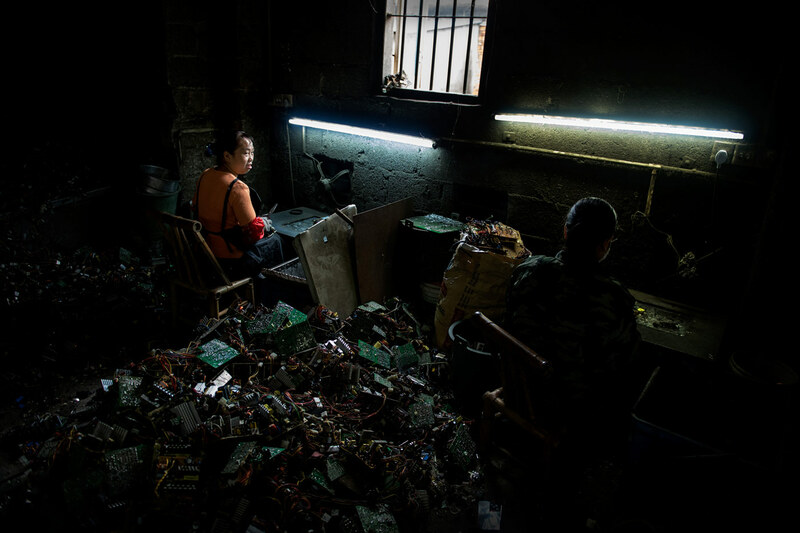 The 'One country, two systems' policy prevents e-waste from entering Mainland China, but allows for licensed imports at Hong Kong’s ports. 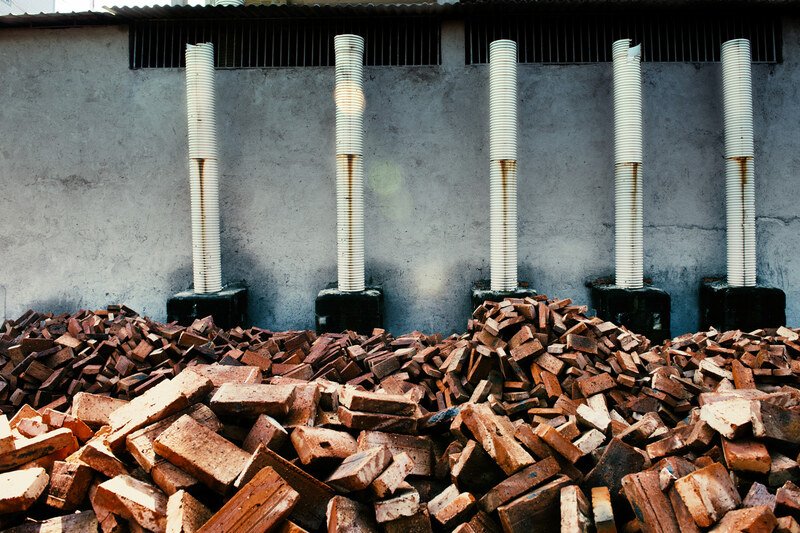 Furthermore, once equipment has been imported into Hong Kong, it can then shipped to another country, including mainland China, for direct re-use, with no waste import/export permit required. 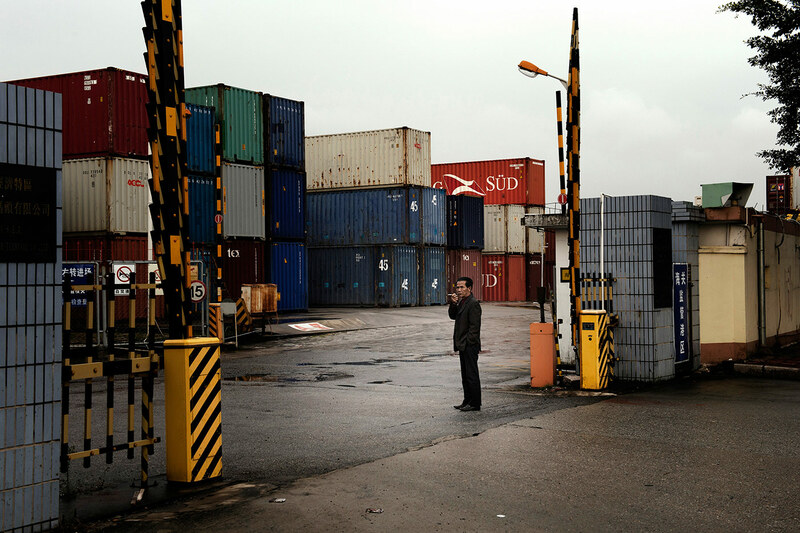 From 2007 to 2010, 360 illegal containers of hazardous waste were intercepted by Hong Kong customs. 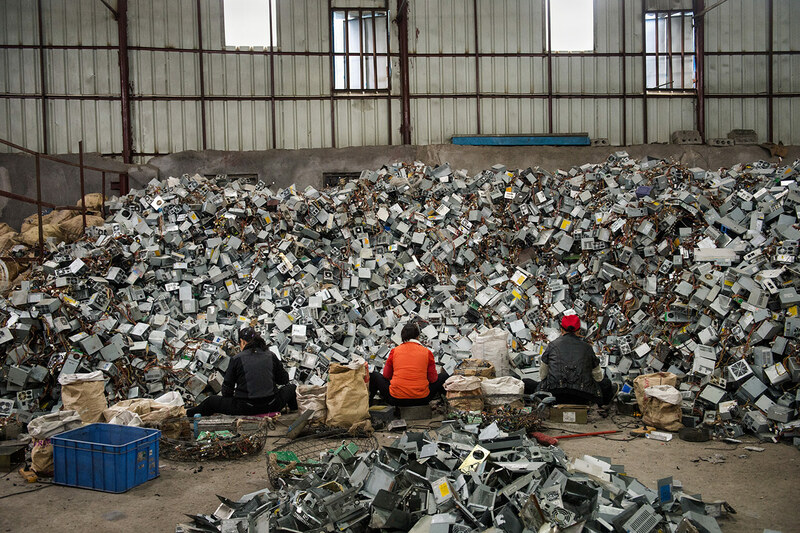 Most of the shipments were e-waste from the US, Canada, Japan and EU countries intended for China. the world. 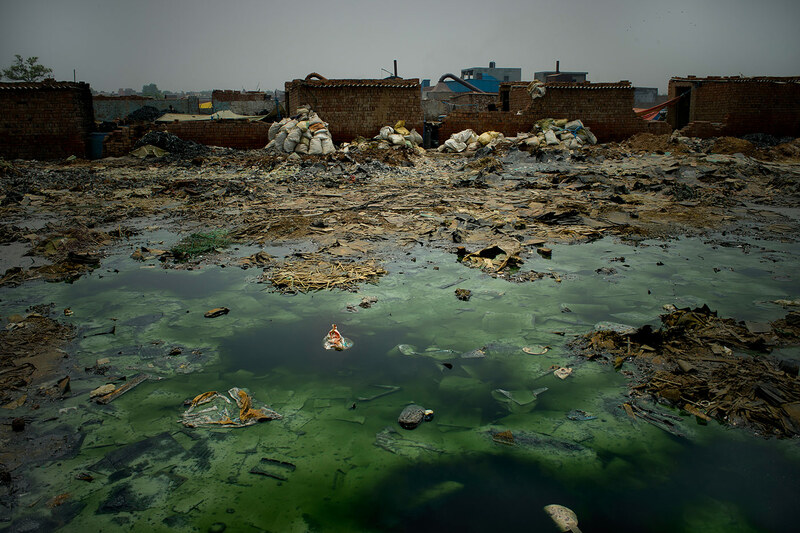 All types of wastes are imported into the country in the form of cheap raw materials including hazardous and toxic wastes. 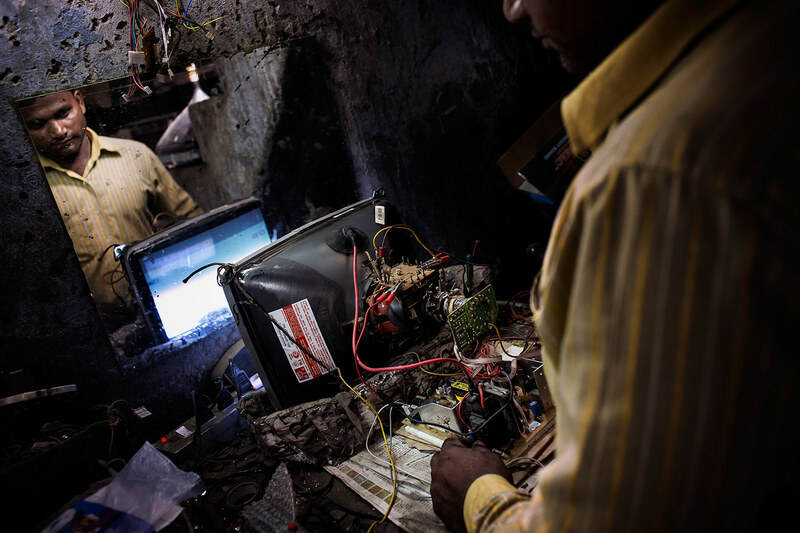 Although, India domestically generated an enormous amount of e-waste itself, India imports million tons every year. 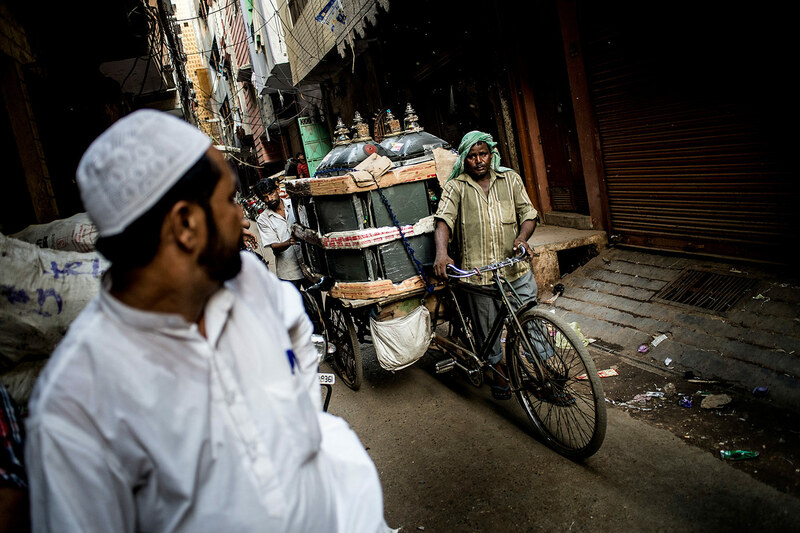 Due to a lack of data the e-waste issue is hard to grasp especially in India. Experts say necessary checks and balances are missing. 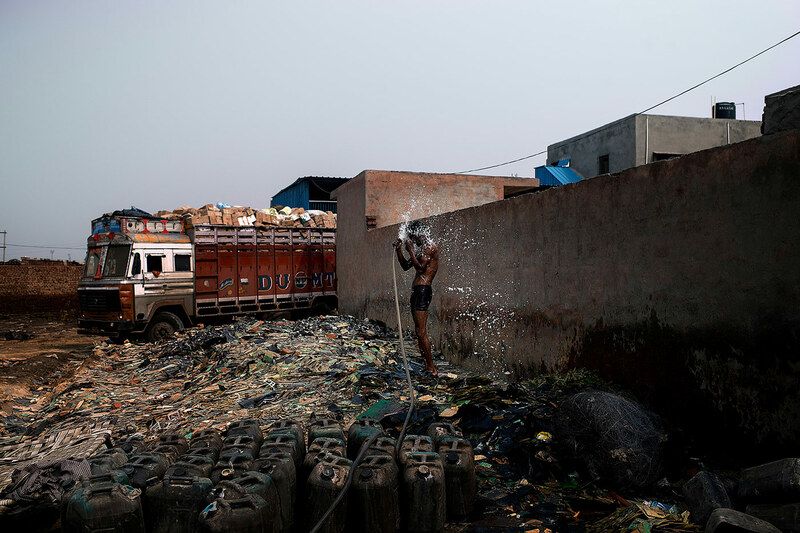 Waste has become a serious business in the country, worth billions, dominated by the so-called informal sector, where tens of thousands of people are estimated to make their living from material recovery i.e. 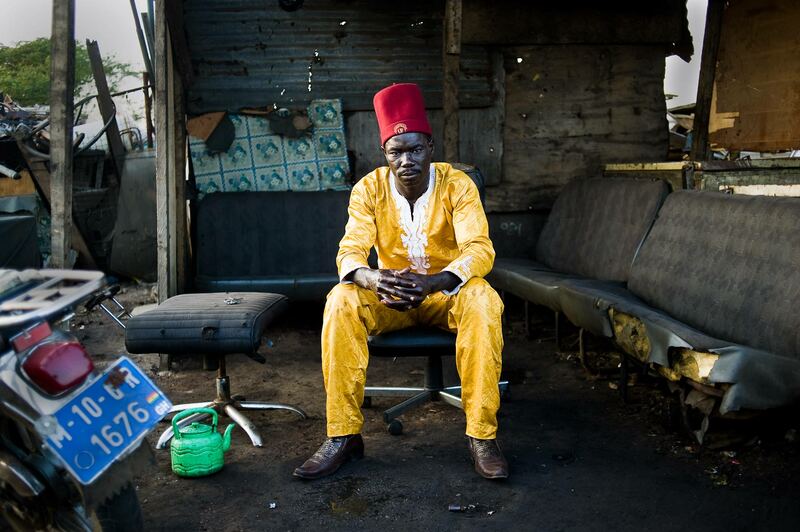 within small units with low-skilled, mainly migrant labour. 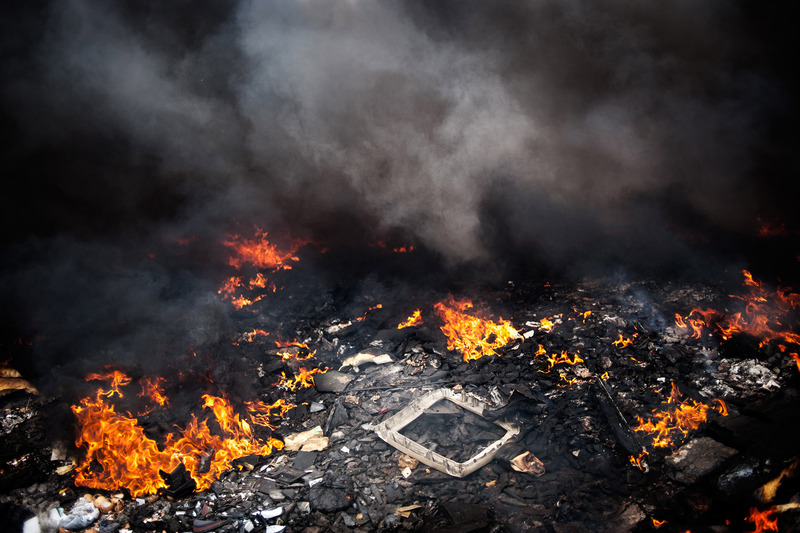 Home-based recyclers burn wires and integrated chips over small flames to get at the copper and other metal inside, inhaling toxic fumes in the process. 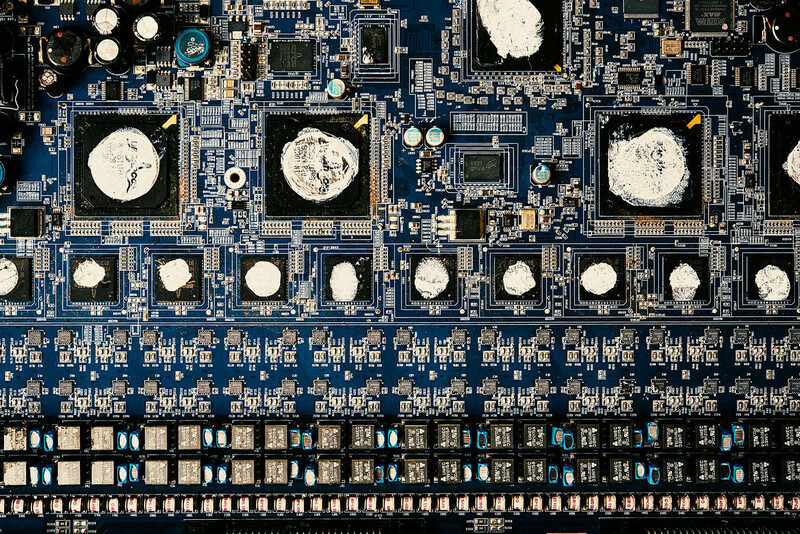 Recycling electronics is very complex. A mobile phone will be made up of 40 to 60 different elements. 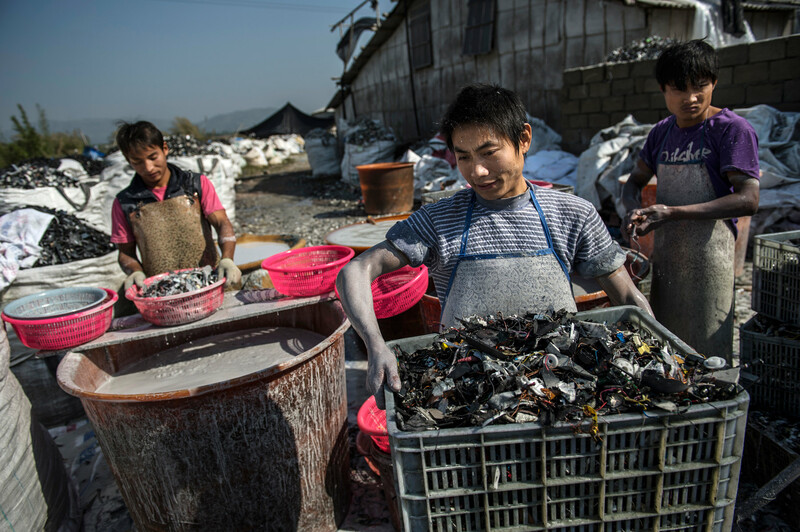 Gold is one of those valuable elements, but the informal recycling commonly done in China and India nets only 20 percent of that gold. The new set of rules (Ministry of Environment and Forest) propose to move this recycling to the formal sector. But it seems to be a long way to go.